HomeHeadphone ComparisonsDT 990 vs. DT 880 | NO MORE CONFUSION! DT 990 vs. DT 880 | NO MORE CONFUSION! The differences between the DT 990 vs. DT 880 are pretty profound. Well, let’s not get carried away, they’re just headphones but you should definitely know what each is primarily used for before purchase. Click to navigate the page! A superb open back headphone that showcases tight, authoritative bass and sparkling highs. The bass isn’t so pronounced that it drowns out the other frequencies, but it also isn’t shy in the least. This is a hip-hop lovers headphone. The highs are crisp and clear without being harsh or sibilant, but if you’re listening to a badly mastered recording you will know. The sound-stage is also exceptional, and being an open backed can, you feel as if the music is playing in the room rather than in your ears. The build quality is solid as well, and these things are built like a tank. All in all, if you prefer your listening experience to be more fun rather than overly analytical, then you may want to check these out.. Exceptional sound-stage (feels like the sound is in the room with you rather than in your ears). Amazing build quality (this has been really common among-st reviewers). Non-detachable cable feels a bit cheap and “oldschool”. Clamping force is intense at first. Slightly recessed (but detailed) mids due to the V (or U) shaped curve. They can be a bit “fatiguing” after awhile. Will you need an amp? AT 250 Ohm and 96dB of Sensitivity, you will definitely need an amp. These do require a bit of power as well as quite a bit of current to reach optimal listening levels. Luckily most of your standard pairings will sound just fine. Price: Check on Amazon! | Check eBay! I really love this combo with a lot of headphones. They even power my beloved HD600’s with relative ease and would make a fine fit with the 990. This is a great solution for your desktop but it also works well on the go. CHECK OUT MY OFFICIAL FiiO E10K USB DAC REVIEW!! Dragonflies are found outside, right? 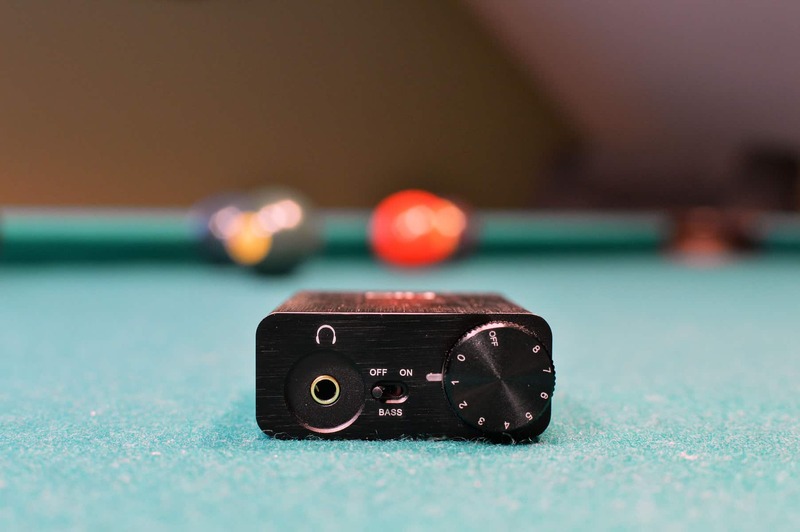 This little crumb sized wonder would make an amazing pair with the DT990, and is a great solution for people who want to listen with a phone or from their computer. You’ll simply need this adapter which is very cheap and gets glowing reviews. What’s so impressive is how much better this thing makes your headphones sound. You really wouldn’t think so by looking at it but it’s really a beast of a unit and probably the most convenient piece of gear ever assembled. 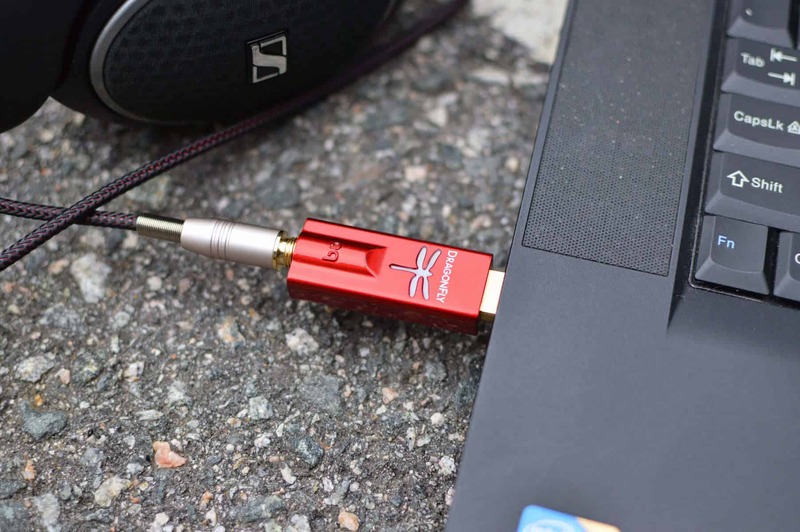 LEARN MORE: AUDIOQUEST DRAGONFLY RED REVIEW! SEE THE GLOWING REVIEWS FOR YOURSELF!! Crisp, just like it’s sound. Price of Standalone Amp: Check Amazon! Combo with the ODAC: Check Amazon! Standalone on JDS’ Website: Check Here! Combo with the ODAC: Check Here! Th Objective 2 is my favorite desktop amp right now, with it’s ridiculously high power output and ability to drive all headphones with ease. It’s a clean, crisp, and neutral sound that will reveal the intricacies of your headphones with startling realism. Highly recommended for people that want an Amp that will last them a long time. 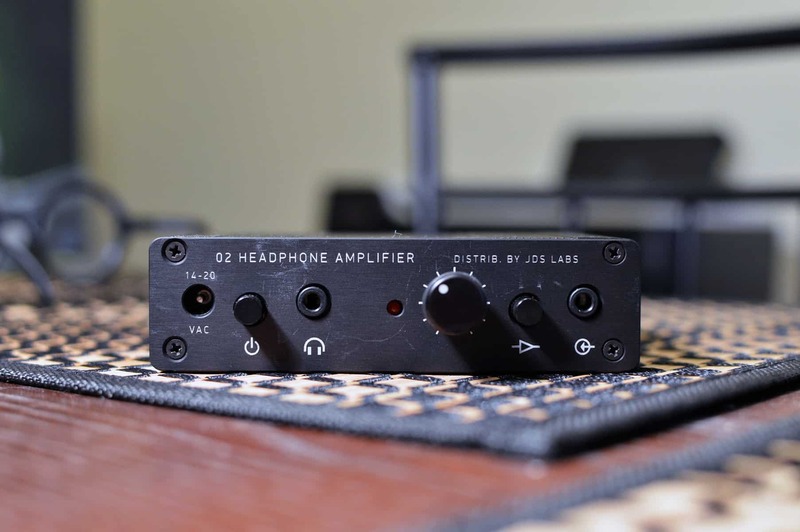 CHECK OUT MY OFFICIAL JDS LABS OBJECTIVE 2 HEADPHONE AMP REVIEW!! OBJECTIVE 2 + ODAC COMBO! Aside from these, don’t get too carried away in trying to choose an Amp. The differences between amps are very subtle a lot of the time, and any of these pairings will work wonderfully well with the 990. Now let’s peep the Consensus..
Great sounding headphone, with booming lows and sparkling highs, and a somewhat recessed mid range. The accentuation of the bass may lead to the treble being a bit “harsh” and too sibilant for some people. By and large though, this is a great studio headphone that will satisfy the majority of people with it’s open, spacious, but hard hitting sound. How does it compare with the Premium though? They each have a slightly different design and aesthetic. The Premium is marketed more toward consumer use, while the pro version is marketed towards studio use. As far as sound goes, they are identical in every way, and even use the same drivers. The difference in price that you pay more for in the premiums is basically in aesthetic, feel, and looks. It has been said that the premiums have a nicer build. That’s it! The sound for both of these is somewhat colored, but in a very natural way. The highs are sparkling and crisp, although they may become sibilant at times due to variances in recordings, or just a bad master. They are definitely a bass heads headphone, and it has been said that out of the 770, 880, and 990 lines, the 990’s are the “fun” headphone out of the bunch. The 770’s and 880’s come in second and third respectively in this regard. The 880’s are the most neutral of the bunch, and are meant strictly for mixing/mastering. If you want tight, authoritative, punchy lows that don’t get muddy, and enjoy listening to a wide variety of music, these may be for you. They excel in many other applications as well including video games and movies. The clarity and crispness of the highs really lends itself well to cinema. You will be able to hear things in movies that were previously lost in consumer grade cans. The same goes for music. Think you know a record like the back of your hand? THINK AGAIN BRO!! Haha. But for real, you will start to hear things in recordings that you never dreamed were there. With that..
Let’s talk about the DT880! To preface, I’ll be reviewing the 250 Ohm Pro version, and kind of comparing the other models to it. Keep in mind that these are open backed reference cans, and will not color your sound in any way. They will bleed sound and people will be able to hear what you’re listening to. Ideal for isolated studio sessions. They aren’t particularly exciting, but rather honest. They are flat and neutral, and aren’t really for “enjoying” music so much as critiquing it. These would do extremely well as your primary mixing headphone. Don’t expect to be blown away by the low end, but the high end has a bit of extra sparkle. Coming from Beyer, you know you will get crazy comfort with those velour ear pads, and extreme durability. They sometimes lack a deep bass extension, but with a proper amp the bass signature overall really shines. This model also does well with all genres of music. Premiums have slightly less headband clamp pressure. Premiums have somewhat better “aesthetics” (It’s ridiculous I know). Premiums come with a long straight chord rather than a coiled one. Premiums may come with a different carrying case. Vinyl instead of Nylon. The 600 Ohm premiums may have a slightly smoother top end (subjective). 600 Ohm. Definitely needs amplification. 250 Ohm. Benefits greatly from amplification. Highly recommended. 32 Ohm. Can be used with your mobile devices without an amp. One of the best investments you’ll make regarding flagship audiophile headphones. Price to performance ratio is through the roof. Clear mid-range, bass response enhanced with a good amp. Casual listeners and producers alike will enjoy and appreciate the sound. Superb build quality (standard for the DT line). High end may be a bit exaggerated to some. It has been called too shrill and harsh/sibilant. What does Sibilant mean? Clamp force can be a bit tight at first. While the sound-stage is wide, it lacks somewhat in the imaging dept. Basically this means that some clarity and detail is lost. Credit to @Metal571. Check him out on Twitter! It is important to know that for a headphone with 250 Ohms of Impedance, an amp is highly recommended, if not outright mandatory. You may be able to get away with not using one, but then again you’d be doing yourself a disservice by purchasing a headphone of this caliber. It’s just going to need a lot more power than your average 32 Ohm headphone. Recommended reading: How to choose a Headphone Amp! This is a relatively simple way of illustrating it. All amps need a digital to analog converter so that your brain can make sense out of the numbers. It functions much like an audio interface. The sound is a jumbled mess until it is converted to a signal that we can process. This signal is meant to be of a much higher quality than your standard built in DAC that comes with your laptop or CPU. More about how your computer processes sound: Bit depth vs. sample rate! Audio engineers and producers who need a great mix down. People who need an open and airy sound, and don’t want to be fatigued wearing headphones for long periods of time. An extremely accurate, neutral set of mixing cans that gives a slight nudge in the treble department. At first, they may sound a bit harsh if you’re coming from bass heavy cans. Over time, they develop beautifully, going from “bright” to lively. Be aware that it does take some burn in time for these to settle in nicely. Around 200 hours is the benchmark. As for the sound-stage, it is wide, but some detail may be lost. The low end is clean, but lacking to some. This is not a bass-heads can by any means. Let’s talk a bit about Similarities & Differences.. Both have velour ear pads are very comfortable. Both are open backed, circumaurual, and have the same 250 ohm impedance. Both benefit from separate amplification. Both are comfortable and durable. Sound. The main difference between these two is sound signature. The DT990 is more of a “fun”, bass-heads headphone, meant for pure listening enjoyment. By contrast, the DT 880 is a mixing/reference headphone that has a very flat, neutral response. Bass. As alluded to above, the bass on the DT 880 is quite lean, as opposed to the meaty, heavy, bass-head friendly DT 990. It’s not overblown, but rather has impact. DT 880: clinical, analytical, neutral, flat. for mixing/reference. If you came here looking for a fun headphone with bass that has impact, the DT990 is a great option. It’s really comfortable and durable as well. Just be aware that neither are really meant for on the go situations. SEE THE 990 FOR YOURSELF ON AMAZON!! Well that’s about it for today my friend. I hope you’ve come away with some valuable information today in my DT 990 vs. DT 880 review! Questions? Comments? Requests? Did I miss the mark on something? Let me know down below or Contact me! Sennheiser HD 598 vs. Beats | NIGHT AND DAY! Bose QC15 vs. Beats Studio | WHAT’S THE WORD? Hey Stu, Ive purchased a DT 880 pro and I plug it straight into my Presonus Audiobox itwo. It can be loud when I turn the volume up high. will it be fully functional only through my audio interface? Or should I own an amp to make it sound better? I would personally get an amp for it. The Schiit Magni/Modi combo is a perfect starter amp that will work with most headphones due to it’s low output impedance of >0.1. What is Headphone Impedance? Let me know if you have any questions or need a hand setting it up. You’ll want the Magni amp, Modi DAC, and a set of PYST RCA cables to plug from the back of the Magni into the back of the Modi. It hooks up via USB so other than those cables you’re set. It got numerous positive reviews from different forums. Yes, the E17K is also a great option. Thanks for reminding me! So can the amp/dac be connected with my audio interface? This is what confused me the most. I don’t have the studio monitor now, so I can only listen to my mixing through headphones. (by being connected straight to it). I’m worried that if they can’t be connected (amp/dac and Audio Interface), I would need to change my beloved dt880 pro into the lower independence headphone QAQ. Not sure what you mean by that last sentence. Could you please clarify? Also, you don’t need to hook up an amp/dac into an interface. The two are completely separate. For instance, I have a Scarlett 2i2 interface, but it operates independently of my headphone amp/dac (The Schiit Magni/Modi). So with your DT880, whatever amp/dac you choose would be separate of anything else in your studio. The way you switch back and forth between interface and amp is through the Control Panel > Sound on your computer. You’re quite welcome my friend! Anything else just holler! If both have the same frequency response; how come one’s more flat? Nice catch YV! That’s definitely an error on my part. Fixed now. They don’t have the same frequency response. I think I was referring to the different 880 versions and accidentally put that in with the 990 vs. 880 comparison. The main differences are that the 990 has more bass and a recessed mid-range by contrast. Treble is similar, as both are bright headphones. Sorry to confuse you and hope that helps. Let me know!